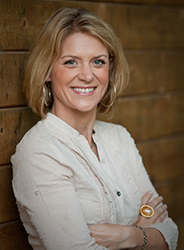 Katie Gay is a coaching and development professional who fosters effective and powerful leadership skills, guiding her clients toward deeper fulfillment and exceptional performance. With over 20 years of coaching, sales, public relations and entrepreneurial experience, she successfully delivers a pragmatic approach to coaching that addresses the integration of both the professional and the personal. Katie believes that leadership is created through investing in change and growth. Her role as a change agent helps her clients break through barriers and realize their full potential. Katie’s action-oriented approach to coaching integrates the elements of each client’s life, focusing on purpose and meaning as a central theme. She capitalizes on her client’s strengths, innate emotional intelligence and desire for positive impact as a basis for leadership development. Katie addresses the importance of interpersonal skills and quality relationships and is known for helping clients gain vision, alignment and clarity towards their intended outcomes. Katie has been coaching for over a decade and focuses on developing leadership and communication skills with executive clients in a wide variety of industries. Some Companies/Organizations include: Google, Facebook, Zendesk, Seagate, Splunk, Singtel, Qualcomm, Stripe, GoodData, Levi Strauss and Robert Half International. She has also supported executives in various start-up and non-profit organizations. Known for her engaging style, focused guidance and curious exploration, Katie customizes her coaching sessions to address desired areas for growth such as leadership, communication, inter-personal issues, emotional intelligence, career transitions and work-life balance. She is married and navigating life as a soon to be empty nester; she enjoys playing tennis, hiking with her two dogs and traveling in her spare time.